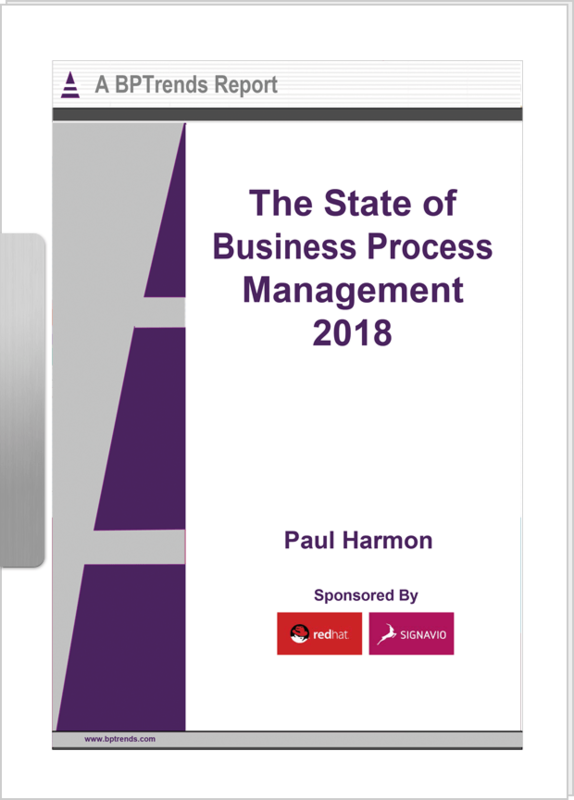 The evolution of business process management (BPM) means more access for more people, an increased emphasis on customer journey mapping, and new ways of viewing, interpreting and applying information contained within business process models. And this is just the start—exciting times are ahead! Evolution is messy and complicated, particularly for large organizations, as Mark McGregor, Signavio’s Head of Strategy, discusses in the video embedded above. The interview with Solutions Review, titled The Evolution of Business Process Management, examines the development of business process management (BPM), and what part Signavio has to play in bringing BPM into the future. The interview also discusses the challenges of risking guaranteed on-premise license revenue by switching to BPM solutions with a cloud-based subscription model. This is especially the case for large and well-established businesses who must also balance significant operating costs. To respond to more agile businesses bringing a cloud-first focus to BPM, these larger incumbents can often find it more straightforward to keep “preaching to the choir”—that is, ensuring BPM solutions, especially business process modeling technology, is held in the hands of experts. Of course, if these specialists can’t get the models they create to spread to the rest of their organization, and have staff from all areas use and understand them, the purpose of mapping business processes at all is lost. It’s no coincidence most digital transformation and process improvement initiatives fail because the results aren’t shared; in many instances, businesses create silos without even noticing. The answer is changing who has access, not only to view models, but to create and use their own. Information from the United States has shown that over the last two decades, overall customer satisfaction has barely increased, despite the efforts of organizations across all industries, including attempting to implement BPM solutions. A key reason is a simple inconsistency—consumers with the same issue are treated in different ways at different times by different people. 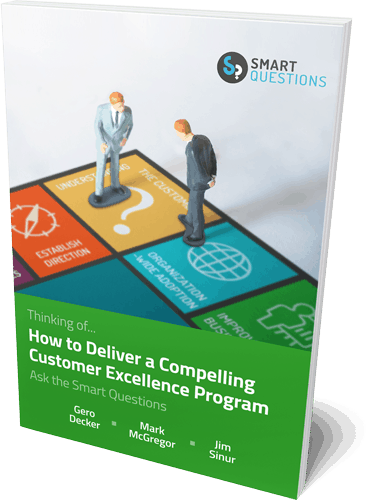 This most often occurs because the staff consumers are dealing with don’t have a single source of process information that says, “This is the way you deal with situation X, and here’s what to do if you need to then tackle problem Y.” With this kind of process-driven customer service, consumers know what they’re getting. The other key benefit is that staff do too, as they follow a clear, logical workflow towards the best solution for their customer. It’s also true that the process modeling community as a whole, and within individual businesses, don’t always treat the customer journey as their first priority. This lack of context can sometimes be a failure of imagination, but could also simply be because modelers are content to leave questions of customer engagement to dedicated customer support teams. In either case, this is another example of the problems with keeping process modeling technology as the preserve of a small group of experts—essential connections are missed, and the effectiveness of process modeling as part of an integrated approach is lost. Customer-facing staff have more direct experience with how people actually interact with an organization, whether that is business users or individual consumers. Listening to what they have to say is a surefire way to improve business processes, no matter what your organization does. The evolution: We will see these connections between process modelers and customer support teams strengthened, with both working together to identify and remove customer pain points, as well as developing new and unexpected ways of improving the customer experience. Of course, the real secret is that nobody really wants models. What they want, is a solution to the problem they’re facing. It just so happens that in many cases, a model is the most sensible way of helping solve the problem. The real power of business process management lies in how organizations choose to use the models they create, the questions they ask, and finally, the answers they find. Depending on those answers, effective BPM might lead to an organization focusing their efforts on process automation, to reduce the number of employees working on time-consuming and repetitive tasks. (Note: Robotic process automation is one area where a genuinely enterprise-wide approach is rewarded.) Existing human-centric tasks, like human resources on-boarding, offer a prime example of the sort of process it is possible to automate. Other organizations may use BPM to examine their processes end-to-end, and figure out additional opportunities for digital transformation; or how to best manage the integration of different technologies and BPM tools; or even how errors and unexamined assumptions have crept into their business rules over time. The business applications and accompanying use cases are nearly endless, from mission-critical transformations to small, incremental improvements that make day-to-day work more efficient. The evolution: New ways of viewing process models, but more importantly, new ways of accessing, interpreting and applying the information contained within the model, and within your business itself. With over 1 million users in over 1,000 companies worldwide, Signavio has rapidly established itself as one of the leading providers of cloud-based process management systems. But don’t just take our word for it… As Mark outlines in the video above, one of the most powerful forces in the BPM field is referential selling, and Signavio is pleased to have organizations like Taifun Tofu and SAP as satisfied customers. Signavio’s innovative Business Transformation Suite, comprising the award-winning Signavio Process Manager, Signavio Workflow Accelerator, and Signavio Process Intelligence, is easy-to-use and well-known for its rapid return on investment. With all three components supported by the Signavio Collaboration Hub, the Suite helps organizations of all shapes and sizes reimagine, optimize, and reinvent their business operations. To see how this powerful, all-in-one business process management solution can supercharge the capability of your business, why not sign up for a free trial today?